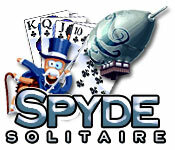 Spyde Solitaire is rated 3.7 out of 5 by 6. Rated 5 out of 5 by Charleen from Spyde Solitaire I love it!! Very different, has so many twist and turns. One game you start with Aces and the next Kings!! This game has so many unique ways of playing Solitaire! 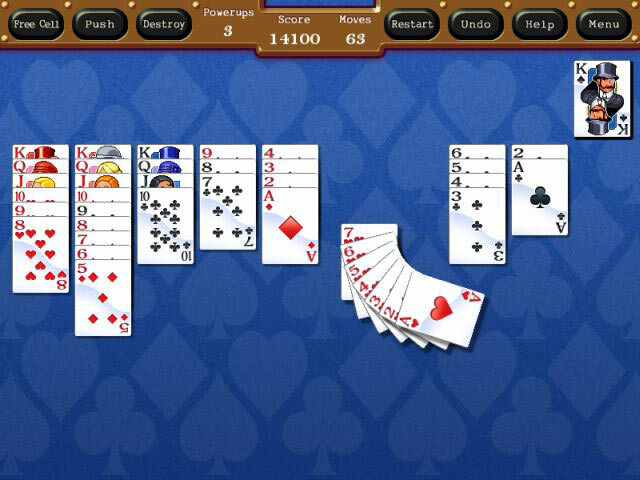 If you like the game of Solitaire and like the different ways you can play.. This game is definitely for you!!! Yes I would recommend buying it!! Rated 5 out of 5 by iluvowls from One Of The Best! 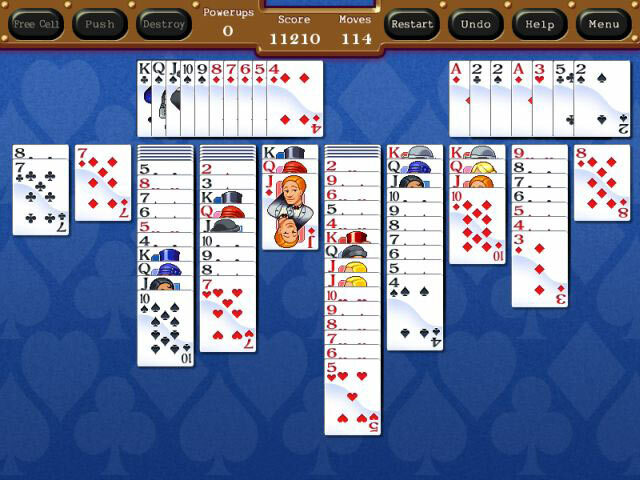 Please make more Solitaire Games like this one! This is one of the best solitaire games I've played. Great overall balance in challenge and fun. This game definitely deserves more attention. Excellent for Spider Solitaire Game players. Rated 4 out of 5 by HensRus from Challenging but good The game is relatively easy until level 16. Level 16 is difficult yet doable. It took me 360 moves and I had to use all 10 power ups to win that level but I did it. 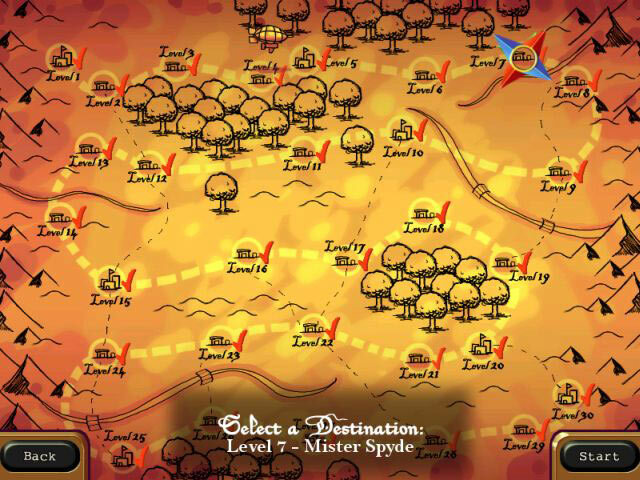 Once you get past level 16 the game gives you a breather through the next few levels. I'm at level 19 and so far so good, although it is still challenging, which I like. Each hand now takes well over an hour to finish, instead of a few simple minutes as it was in the beginning. There are a total of 30 levels, with 3 different types of gameplay. The game is challenging enough to provide well over 20 hours of gameplay just to get through the 30 different levels. Anyone who enjoys a challenging game of spider solitaire will like this game. The graphics and gameplay are simple and straight forward. There is no storyline nor real theme. Just a lot of great, challenging spider solitaire to play. I gave it four stars because although I do love the game, there is one aspect that is frustrating about it. When you get stuck during a hand with no more viable moves and have to redeal, it redeals the exact same cards from the deck instead of shuffling them and dealing a different set. So you end up having to play the same hand over and over again until you either figure out how to win it, or you get lucky and move the cards exactly the right way in order to win. I'd rather have a different set dealt on redeal but oh well. Maybe next time the developers will change that. In order to win some hands, using the power ups is a must. Rated 2 out of 5 by maxibabe from Level 16 did me in I GIVE UP!!!!!!! Trying many times to conquer Level 16 has taken the fun out if the game!!! The challenge has worn off and frustration has set in. Rated 1 out of 5 by drustorm from Don't Be Fooled The first 15 levels of Spyde are fun, but suddenly at Level 16 you are presented with an unsolvable puzzle that will frustrate you for months if you bother sticking with it. Nothing that comes before prepares you for a 4-suite spider. Restarting does NOT reshuffle the cards, so you must solve the puzzle as presented. There is no skip button and no hint button. So, unless you are willing to play the same game over and over again and fail, do not bother with this game. Don't be fooled by the first 15 levels into thinking this will be a relaxing or enjoyable game. Fun Factor: Up to level 16, pretty fun, but 16 is the spoiler you can't get past, taking all the fun out of this game. Visual/Sound: The music is repetitious and gets annoying once you are stuck on level 16 for hours on end. There is a "full screen" mode, but I was unable to get the game to go into full screen, so ended up playing in a small window. Level of challenge: Up until Level 16, the challenge level is fine, but at 16 the challenge is so absurd that you cannot progress any further. I would not recommend this game to anyone except someone who considers themselves a master at spider.